Do You Take These Employees in Sickness and in Health? | Kalijarvi, Chuzi, Newman & Fitch, P.C. On March 9, 2016, Vermont Governor Peter Shumlin signed into law a bill requiring that employers provide their employees with paid sick days. The new law will provide relief to approximately 60,000 employees. Starting in 2017, full-time employees will get 3 days off every 12 months, increasing to 5 days off starting in 2019. More than one-third of all private-sector workers (about 43 million employees) do not have any paid sick leave. Currently, there are no federal laws requiring paid sick leave. The Family Medical Leave Act, however, does provide for “up to 12 weeks of unpaid leave for certain medical situations for either the employee or a member of the employee’s immediate family.” Compared to other countries, particularly in Europe, the United States lags considerably in providing paid sick days for workers. 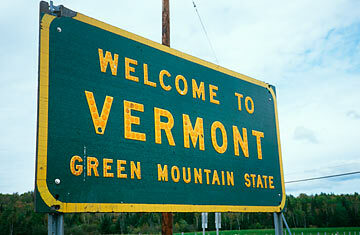 President Barack Obama commended the recent Vermont law and urged the U.S. Congress and other states to follow suit. “This action means thousands of families will no longer have to choose between losing income and taking care of a sick child,” Obama said. All Americans should be provided with this basic security. California, Connecticut, Massachusetts, and Oregon, in addition to several cities, including Washington, D.C., have passed similar laws. In December 2013, the D.C. Council, thanks in part to the advocacy of the Employment Justice Center, unanimously passed the Earned Sick and Safe Leave Amendment Act of 2013. This amendment significantly expands the coverage of D.C.’s Accrued Sick and Safe Leave Act of 2008, to include tipped and temporary employees, and increases enforcement provisions and penalties.